Not so long ago, VMware product releases were staggered. Major versions of vSphere would launch at or shortly after VMworld in the fall, and all other products such as SRM, View, vCloud Director, etc. would rev on some other random schedule. This was extremely frustrating for a vEvangelist because we wanted to be on the latest and greatest platform but lack of compatibility with the remaining bolt-on products held us back. While this was a wet blanket for eager lab rats, it was a major complexity for production environments. VMware understood this issue and at or around the vSphere 5.0 launch (someone correct me if I’m wrong here), all the development teams in Palo Alto synchronized their watches & revd product in essence at the same time. This was great and it added the much needed flexibility for production environment migrations. However, in a way it masked an issue which didn’t really exist before by virtue of product release staggering – a clear and understandable order of product upgrades. That is why in March of 2012, I looked at all the product compatibility matrices and sort of came up with my own “cheat sheet” of product compatibility which would lend itself to an easy to follow upgrade path, at least for the components I had in my lab environment. 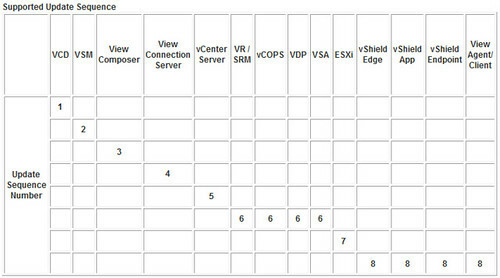 vSphere 5.1 Update 1 launched on 4/25/13 and along with it a number of other products were revd for compatibility. 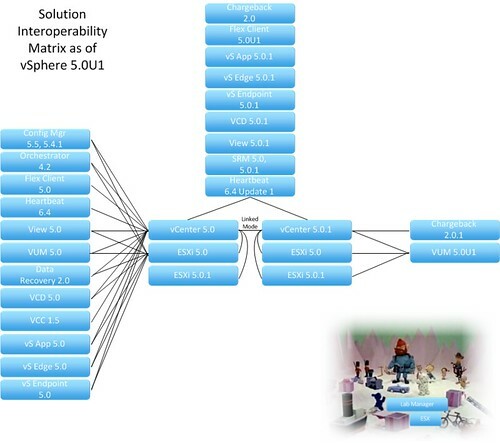 To guide us on the strategic planning and tactical deployment of the new software bundles, VMware issued KB Article 2037630 Update sequence for vSphere 5.1 Update 1 and its compatible VMware products. Not only does VMware provide the update sequencing information, but there are also exists a complete set of links to specific product upgrade procedures and release notes which can be extremely useful for planning and troubleshooting. The vCloud Suite continues to evolve providing agile and elastic infrastructure services for businesses around the globe in a way which makes IT easier and more practical for consumers but quite a bit more complex on the back end for those who must design, implement, and support it. Visit the KB Article and give it 5 stars. 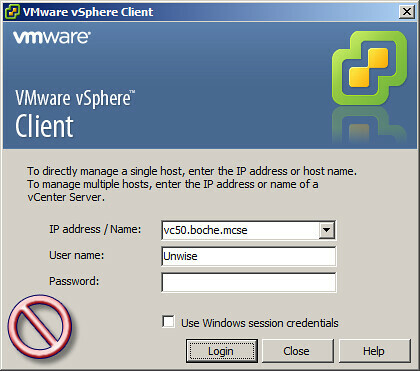 Let VMware know this is an extremely helpful type of collateral for those in the trenches. 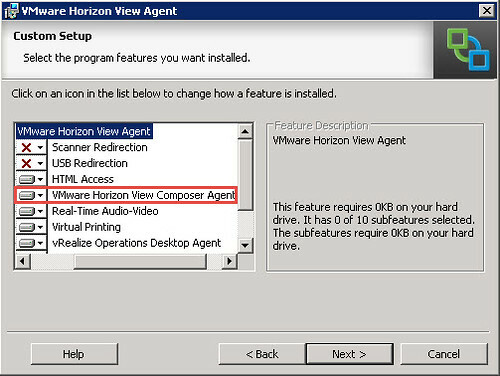 Those who manage VMware View currently or have used it in the past may be familiar with desktop customization which is required to provide a unique identity on the network for each View Composer VDI session in a pool. 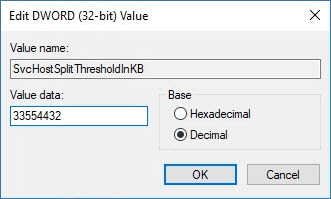 If you’ve got a pretty good Microsoft background, you’re probably already familiar with Sysprep – Microsoft’s tool for customizing Windows server and desktop OS deployments. 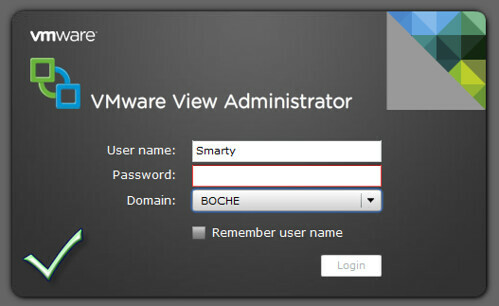 VMware View Administrators have an alternative tool which can be used for desktop customization called QuickPrep. For all intents and purposes, QuickPrep was designed to accomplish many of the same tasks Sysprep did, but the obvious advantage QuickPrep has is that the code and development belongs to VMware and as a result can be tightly integrated with products in VMware’s portfolio. I was on a call this morning with VMware Senior Technical Trainer Linus Bourque (Twitter: @LinusBourque Blog: http://communities.vmware.com/blogs/lbourque Cigars: yes) when he pulled up a table slide which was the result of VMware KB Article 2003797 Differences between QuickPrep and Sysprep. For those who are curious about the similarities and differences between the two (like me), look no further. QuickPrep is a VMware system tool executed by View Composer during a linked-clone desktop deployment. 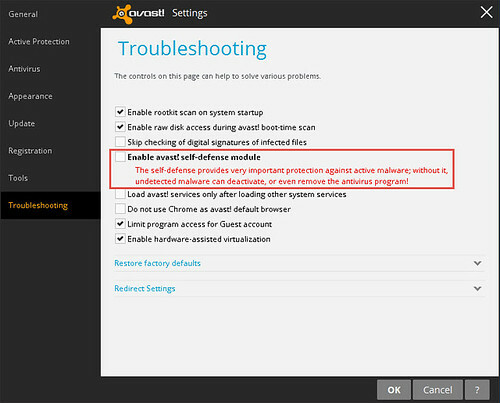 QuickPrep personalizes each desktop created from the Master Image. Microsoft Sysprep is a tool to deploy the configured operating system installation from a base image. 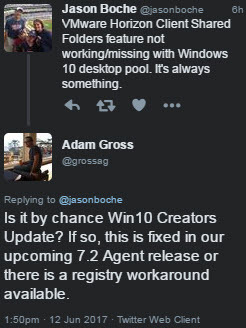 The desktop can then be customized based on an answer script. 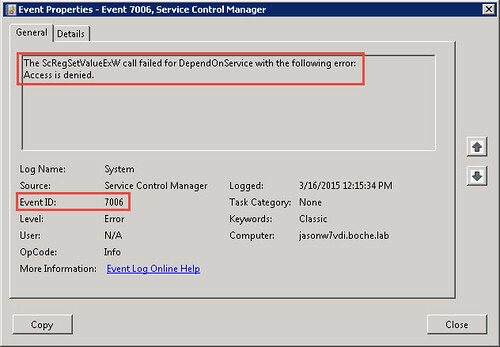 Sysprep can modify a larger number of configurable parameters than QuickPrep. Creates a new computer account in Active Directory for each desktop. Gives the linked-clone desktop a new name. Joins the desktop to the appropriate domain. Optionally, mounts a new volume that contains the user profile information. 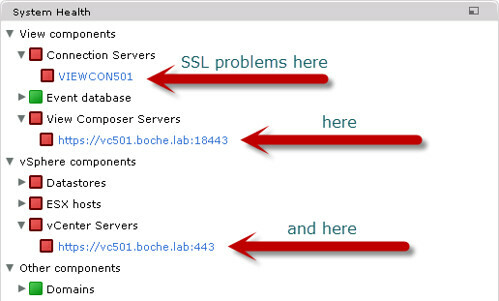 Note: A Guest Customization script is required in vCenter Server to use Sysprep. Sysprep is bundled in with Windows 7. For Windows XP, an appropriate Sysprep program needs to be installed on the vCenter Server. For information on installing Sysprep tools, see Sysprep file locations and versions (1005593). For more information on the use of Sysprep and the Guest Customisation wizard, see the Customizing Guest Operating Systems and Installing the Microsoft Sysprep Tools sections of the vSphere Virtual Machine Administration Guide.